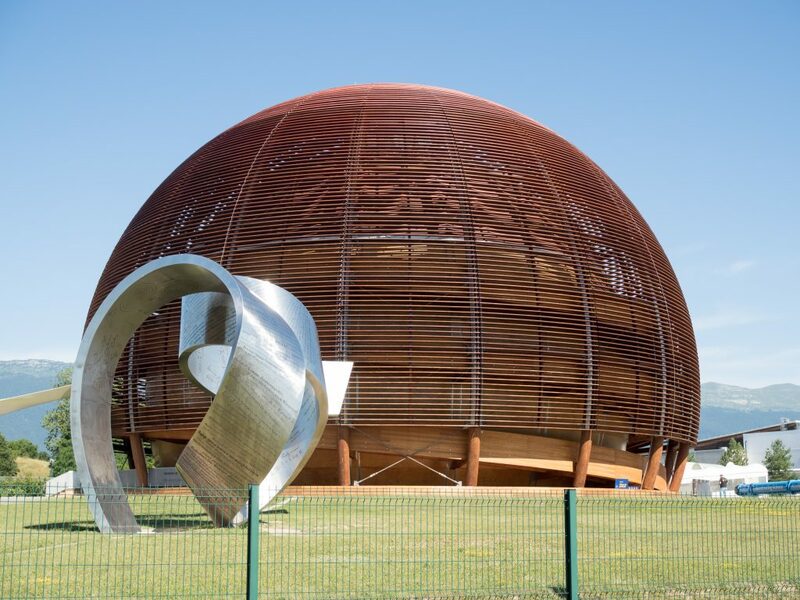 Early in organising this trip I was eager to visit CERN. I knew they had guided tours of the facility, and they were free, you just needed to book them. Each day at about 4:30PM AEDT / 08:30AM CET they open up spots on the tours to book 2 weeks in advance. At the sametime they also open up spots for tours for that same day if they have any spots free. Within minutes all the tours are booked out. I set a reminder on my phone, and took my laptop to work – not trusting the incredibly expensive corporate internet connection, instead relying on my phone’s 4G. 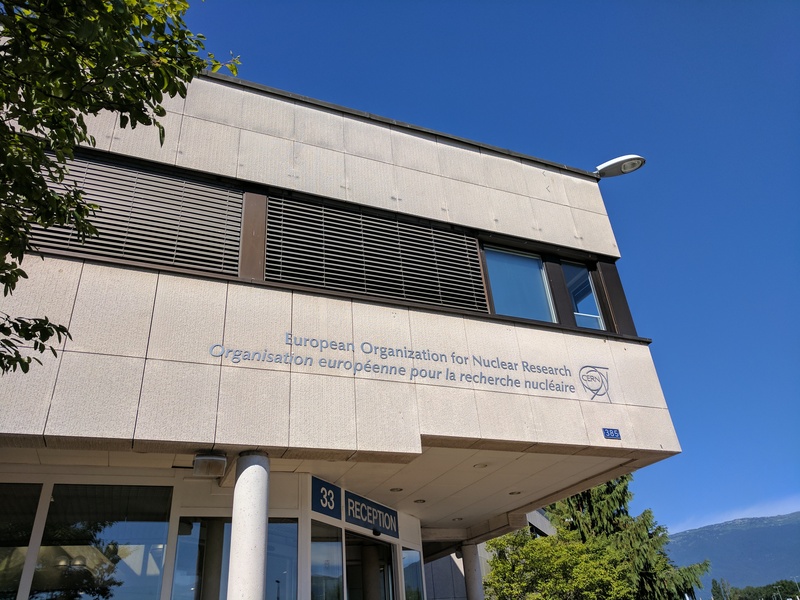 As with most work days I got distracted by something around 4:28PM and by the time I had refreshed the CERN website to see what tours were available all the spots were taken. Despite this I was determined, and logged in most days to keep an eye on the numbers. 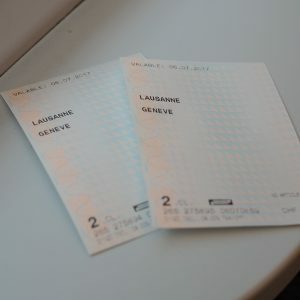 Mum and I had 2 days in Lausanne, while Dad was at his conference, when we could visit Geneva and CERN. Somewhere between Andorra and Switzerland I had managed to do something to my knee. 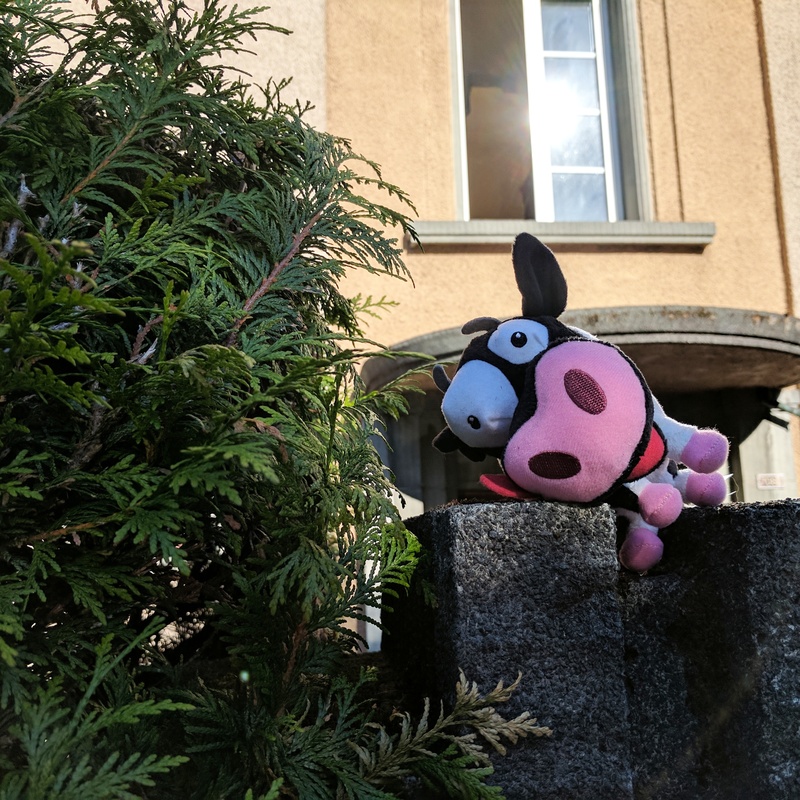 I wanted to take at least one day off in Lausanne from walking up and down hills all day. I jumped on the Airbnb Wi-Fi at 8:30AM to check if there were any tours available. There weren’t, they were all full. I jumped on the Airbnb Wi-Fi at 8:30AM, and refreshed the page. There were two spot. TWO! A guided tour later in the morning, 11AM, and in English! I booked the tickets, and got a confirmation email almost instantly. 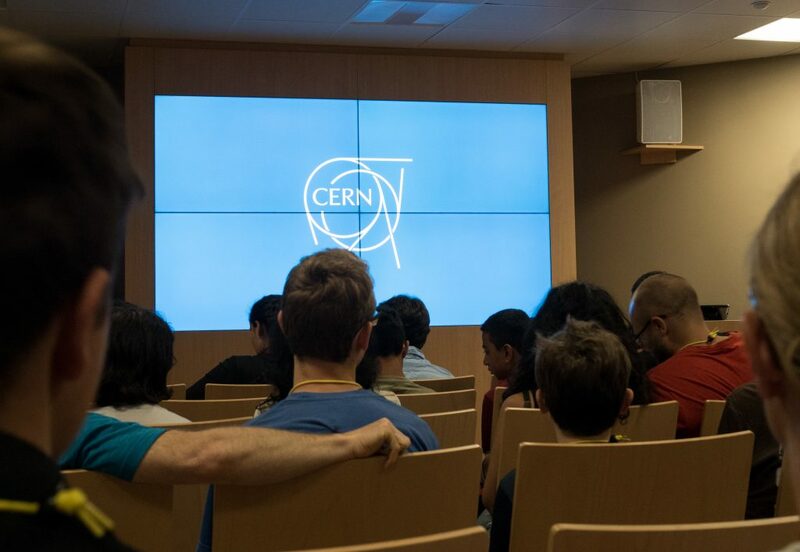 We had just over 2 hours to get down to Geneva from Lausanne, and out to CERN. But this is Switzerland. You can set your watch by a bus timetable, and the trains double as a backup for atomic clocks. This is not an exaggeration. I quickly got dressed, and threw all my camera gear into my backpack, and let mum know we should probably head off to the train station soon, and also that I had managed to book a tour. We got the train station to check the platform for a train going to Geneva, there were a few. While we had Eurail tickets for the holiday, today wasn’t one of the days we had nominated to use our tickets, so we bought tickets from a helpful machine that accepted foreign credit cards. The train ride down from Lausanne to Geneva is a quite short, very pleasant trip along the edge of the lake. It wasn’t long and were at the central station in Geneva. From there we jumped on a tram that said it was heading to CERN. In the foyer there were a lot of people just milling around. We went up to the reception desk where we were given a lanyard and directed to have a walk through a small museum, before our tour of the facility would start. We were all ushered into a lecture theatre where a short film played that introduced the place, and the work done here. They were very clear that we were allowed to take photos of anything, and were encouraged to take as many as we wanted. 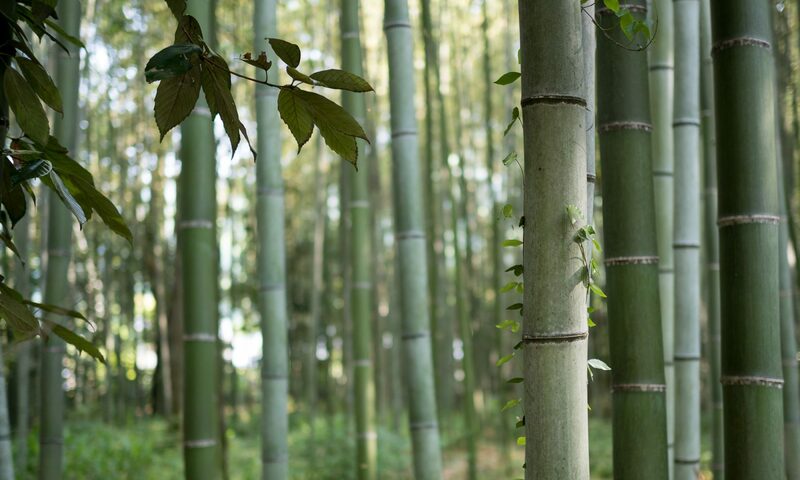 There was a theme of doing research for the purpose of research, and release the outcomes to the world, not holding back results or discoveries. Not doing it for profit, but for the advancement of science, engineering, and knowledge. Good to know I could maybe get a job a CERN. After the introductions we were split into two groups, and headed off down the road to the first location. Our guide was a research scientist who worked on medical research. 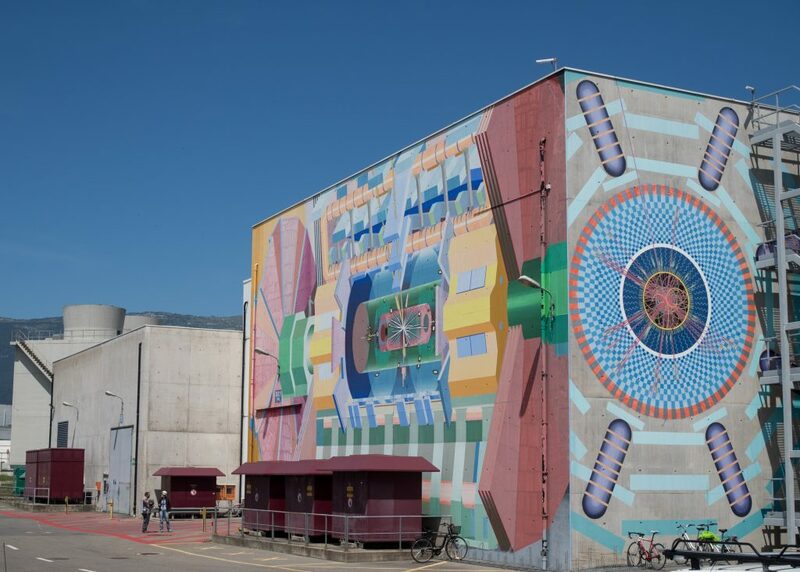 He explained that on the main particle accelerator there are a series of detectors set up around the installation. 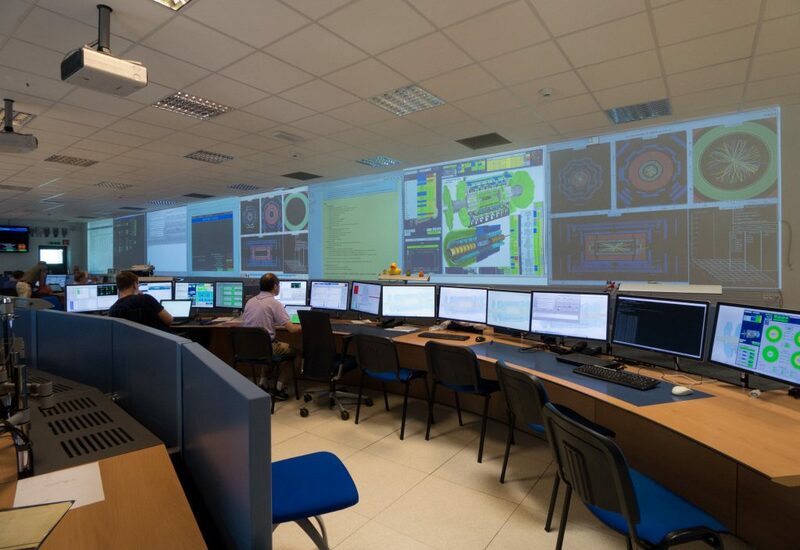 After the main detectors, such as the ATLAS and ALICE, they take the ‘leftovers’ of the accelerated particles and conduct additional experiments with them. The simplicity of using the leftover particles and energy from another experiment and using it for additional work is genius. Scientist and engineers ride bikes. The complex is huge, there are buildings dotted all around the area above the 27 km accelerator ring. The roads are named appropriately, such as Route A. Einstein. 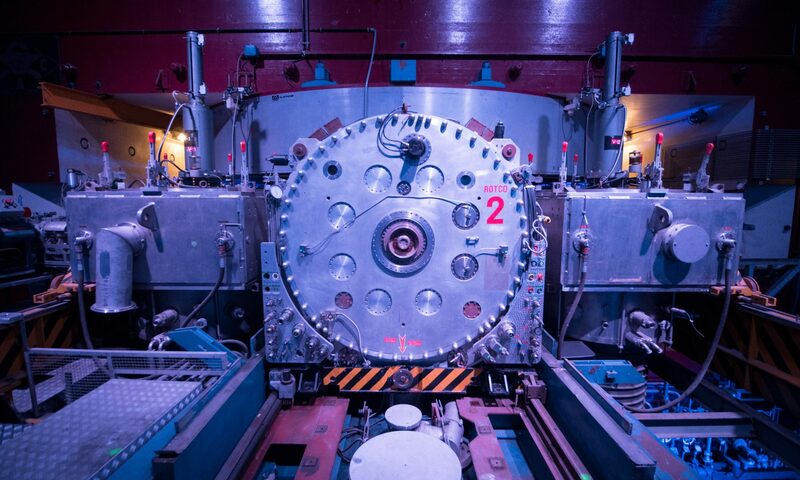 The first building we were taken to was the original synchrocyclotron. Construction started in 1957, and it was used for 33 years. Accelerating particles for nuclear and particle physics research. 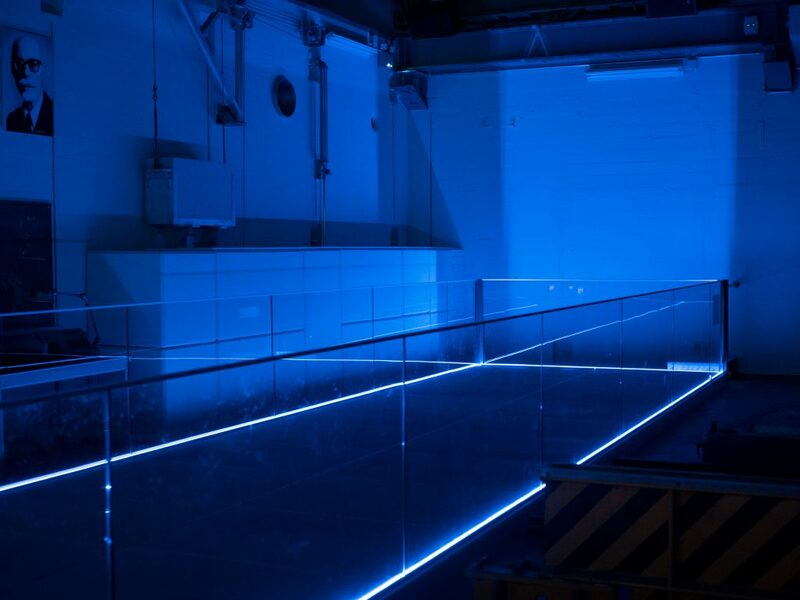 We all filled the room facing the synchrocyclotron, lined up on a walkway lit like a set from Tron: Legacy. Around the room were a series of projects. 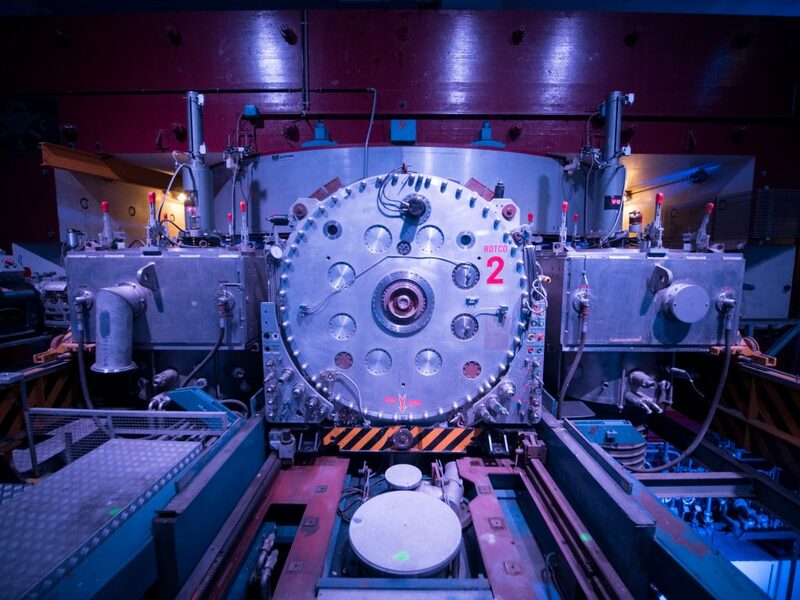 They projected directly onto the synchrocyclotron, and the walls, playing a video explaining the construction of the synchrocyclotron, and the research conducted there. The video was fascinating. 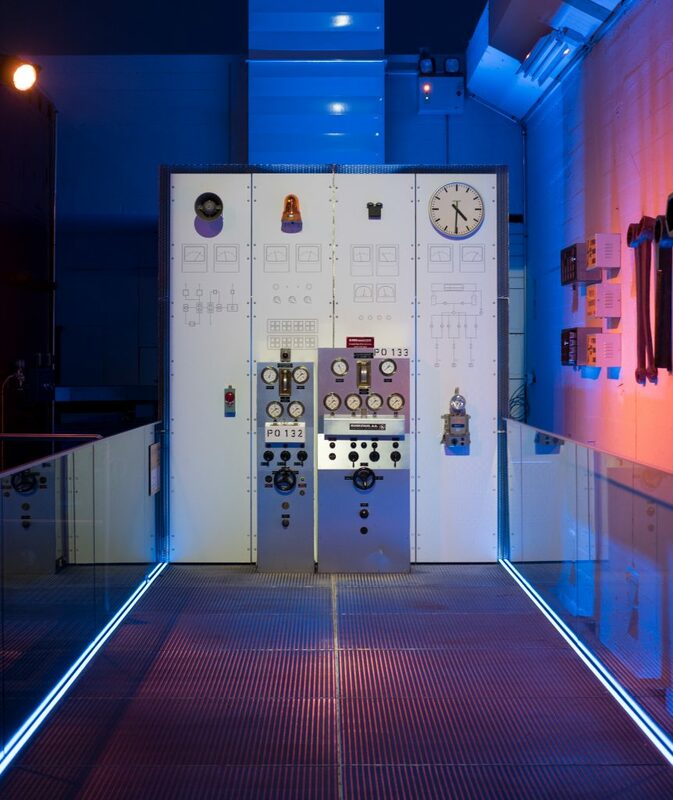 It was brilliantly done, showing how the synchrocyclotron worked projecting animations onto the equipment. It was amazing that in the 50s and 60s they were able to conduct some incredible experiments without a lot of the technology we take for granted now. 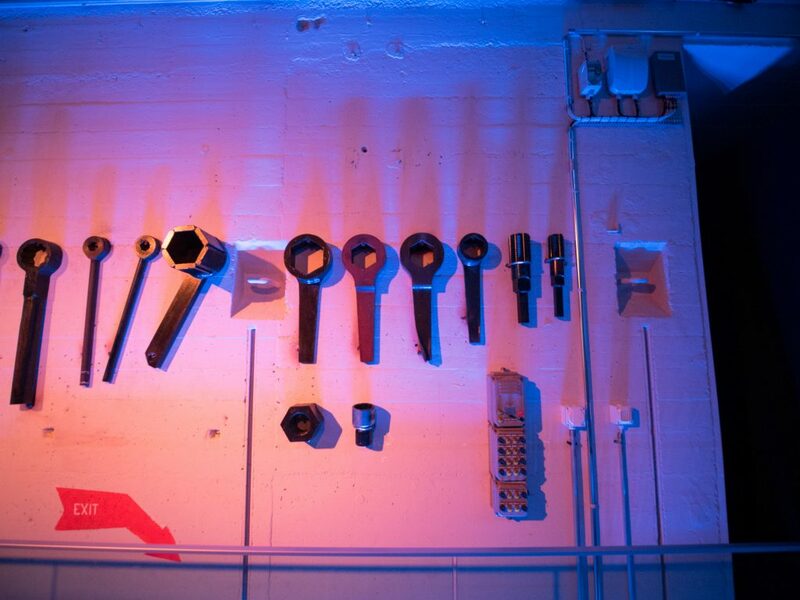 Around the room were a series of tools used to keep the synchrocyclotron in working order, nothing better than a big spanner. 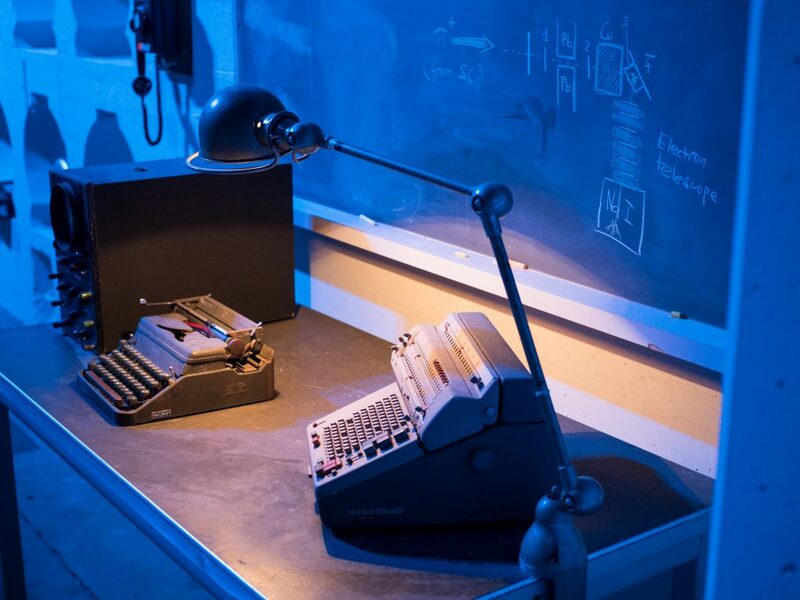 They also had some of the latest technologies of the era, include a punch card machine for ‘programming’ the ‘computer’ and a typewriter. On the wall there was also an old metal pan – the original target used by the synchrocyclotron to fire beams of particles at. After the presentation our guide answered some questions before we set off again, over the road and to the Large Hadron Collider, and the ATLAS detector. 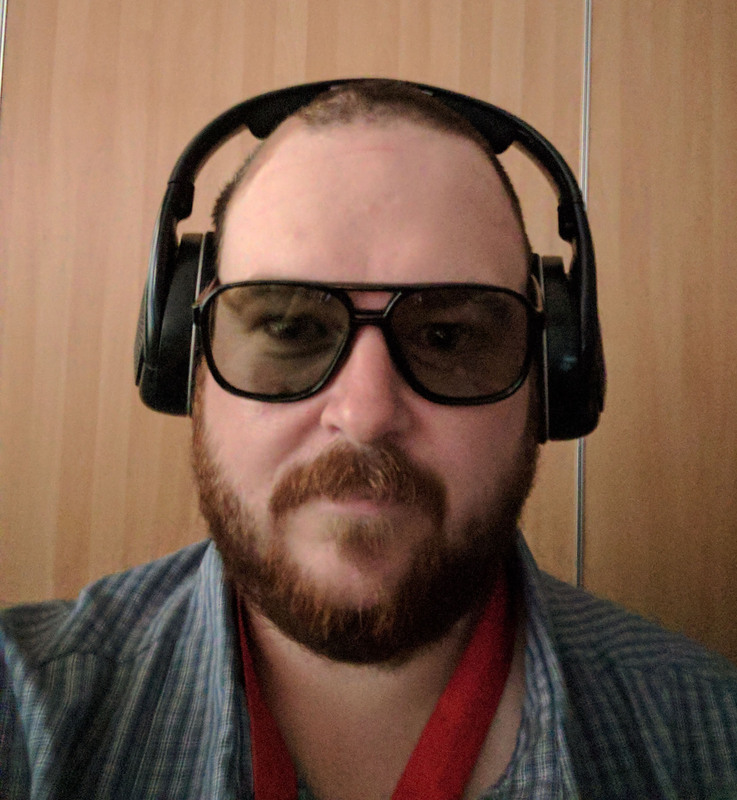 We were taken up a couple of levels above the control room, and given headphones and polarized glasses to view a 3D film. Back on the lower level there is a viewing area, showing the control room for the LHC, and the ATLAS detector. They also have a Lego model of the ATLAS detector, and it is amazing. We finished up at the ATLAS Detector and teh guide took us back out to The Globe of Science and Innovation, a museum and visits centre with displays on the particles of the universe. On the grass in front of The Globe is a steel sculpture – “Wandering the Immeasurable” by Gayle Hermick. 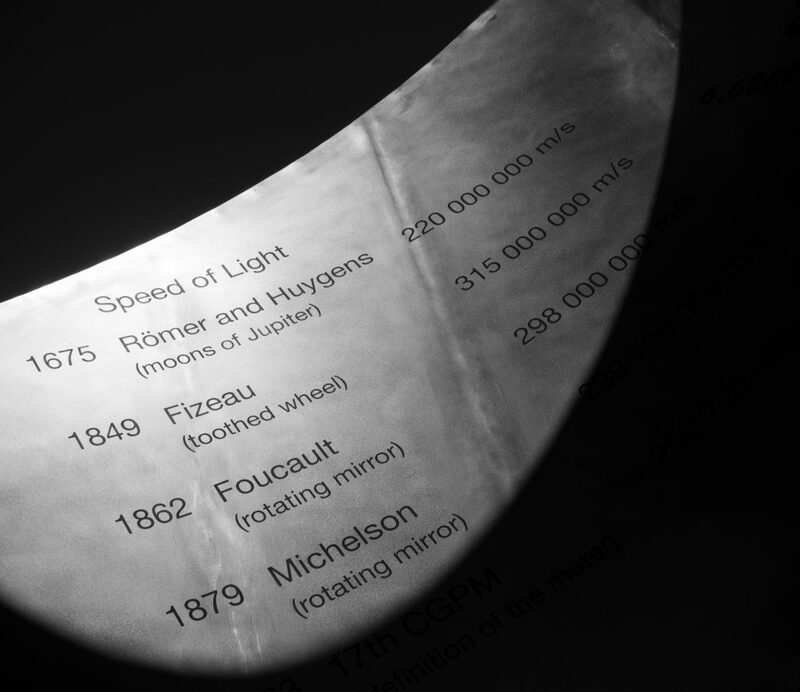 On it are a number of inscriptions, include calculations of the speed of light from experiments going back to the 1600s. 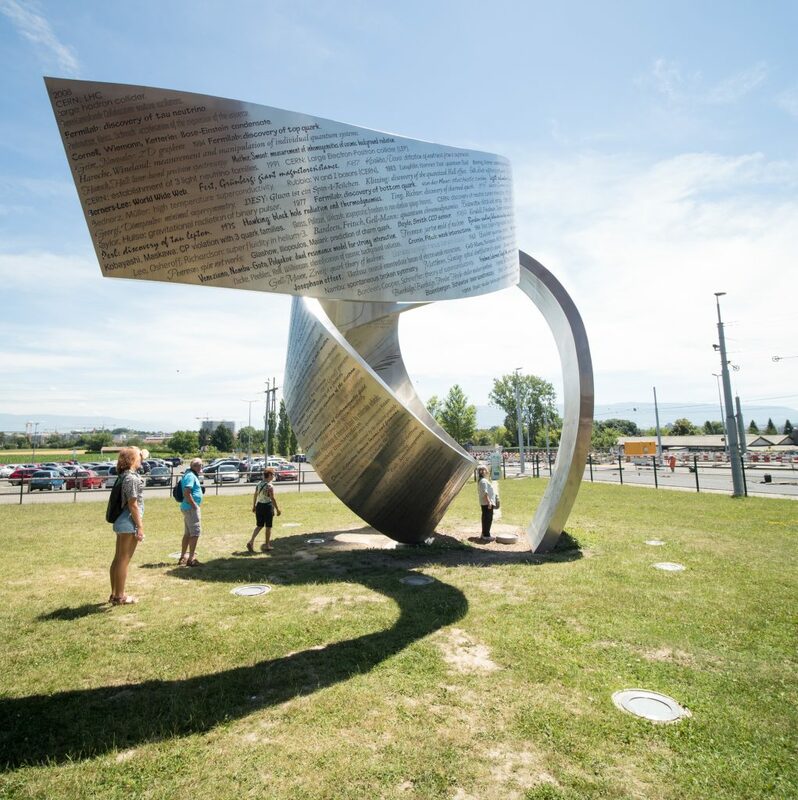 Wandering the immeasurable – a steel sculpture with a number of scientific discoveries written on it, in the language of the discoverer, going all the way back to cuneiform. Back in the main visitors centre we returned our visitor lanyards, and paid a visit to the gift shop. We bought matching CERN caps for all three of us, and I looked at the ties. As nice as it was, I thought 69 Swiss francs was a little much for a tie ($100 AUD). 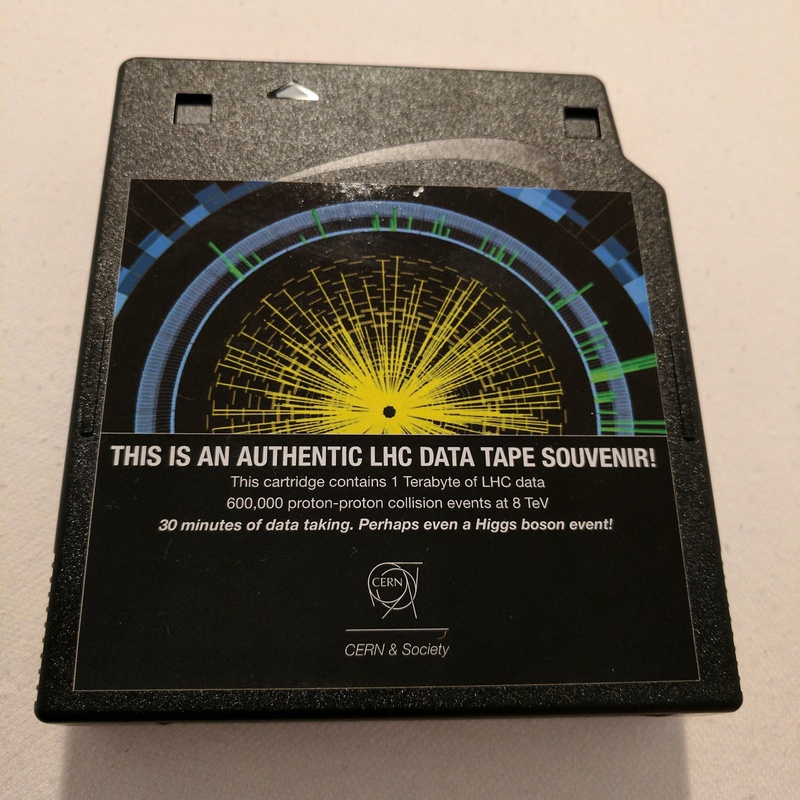 What I did find, and what I am sure is the best souvenir ever, was a 1TB data tape with data from colusions from the LHC. They know their target audience. The greatest souvenir of all time. CERN was brilliant. The tour was fantastic. The museums were brilliant. Their philosophy of research for research and not purely for profit is something we can only hope continues into the future. The half day we spent there was definitely one of the highlights of the whole trip. 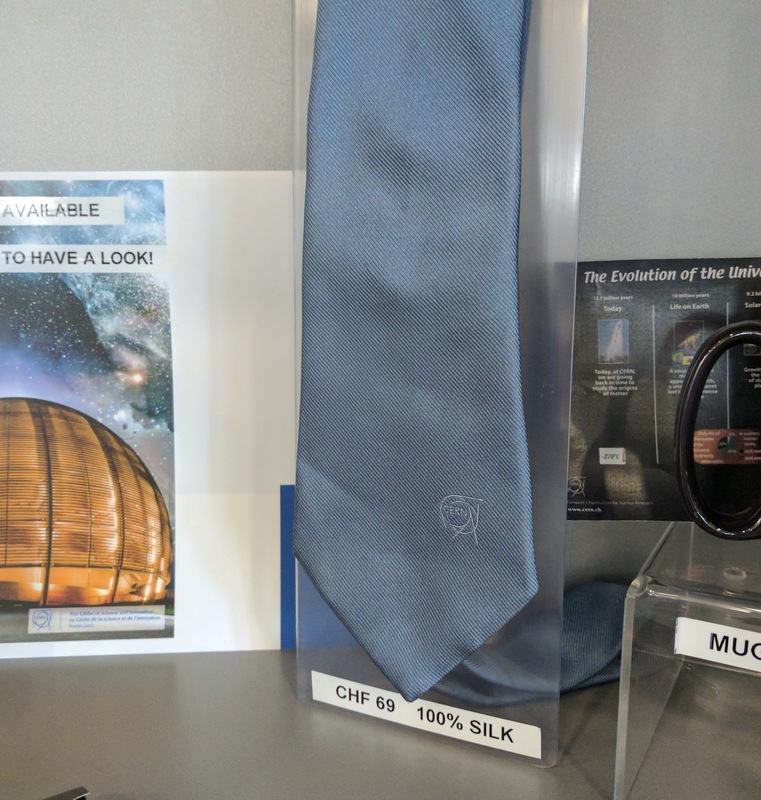 If you are ever anywhere near the east of France, or Switzerland, go to CERN.